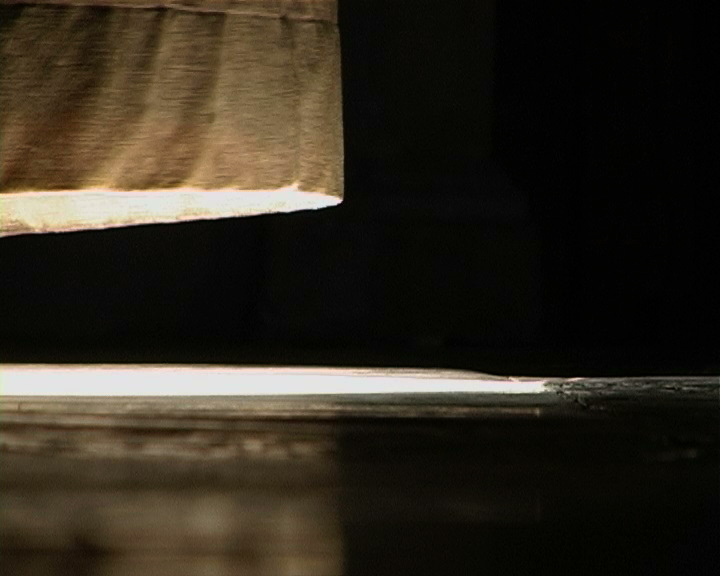 A flat, narrow ray of light slides into the darkness and slowly recedes, followed by the rhythmic swaying of a heavy curtain inflated by the wind. The curtain hangs at the entrance of a Roman church and separates the consecrated area from city activity. 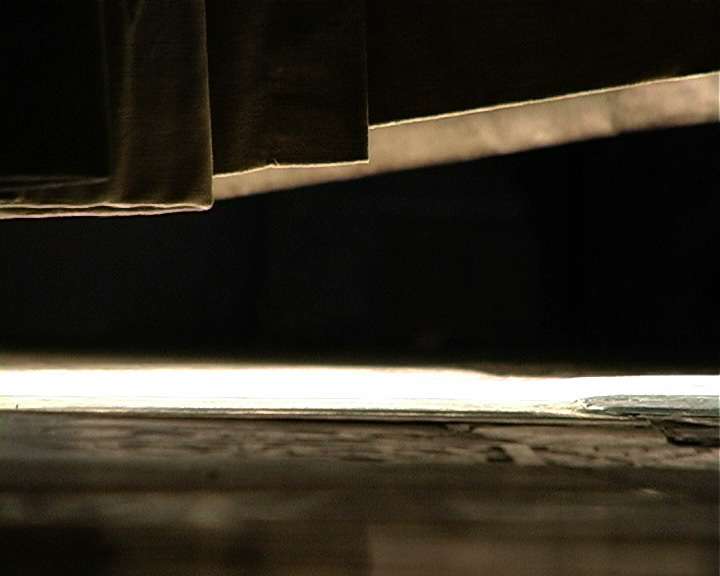 Level with the stone floor of the church, the camera records the dance like swelling and withdrawing of the windblown curtain. Church visitors´ feet begin to cross the threshold that separates sunlight from the dimness within, turbulence from peace, present from past, transience from what will remain.